This authentic Polish Kapusta recipe (Sauerkraut with Mushrooms) is very easy to make and requires only a few ingredients. In Poland, it is traditionally served on Christmas Eve as a side dish with different kinds of fish. Kapusta (Sauerkraut with Mushrooms) – one of my favorite Polish delights – is super healthy and in most Polish houses, served on Christmas Eve. Traditionally on Christmas Eve, all the dishes should be “lenten” meaning cooked and served without any meat or animal products. While most recipes call for butter, it’s an optional addition. I realize that the saying is ‘everything with butter tastes better,’ but this one is super delicious when made with just water and splash of olive oil. My husband and I have had a few Christmases together so far. Each year, he looks forward to the delicious aroma of sauerkraut and mushrooms that fills our house. I usually make pierogi with sauerkraut and mushrooms too; so it’s a lot of krauty, shroomy smells dancing around. The traditions of “Lenten” dishes have loosened up in the past decade and now you can see additions of meat in some Christmas Eve dishes, but not all. For example, instead of Kapusta, you could have Bigos which is yet another Polish sauerkraut recipe that includes meats, mushrooms, prunes, and wine. You could also serve Pierogi with Potatoes and Cheese. 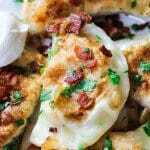 Sprinkle them with bacon bits on top and you have a delicious twist on a Polish classic. And you could serve Russian Salad with or without ham. There are plenty of health benefits packed in this dish. Sauerkraut offers all the benefits of all the cruciferous vegetables. 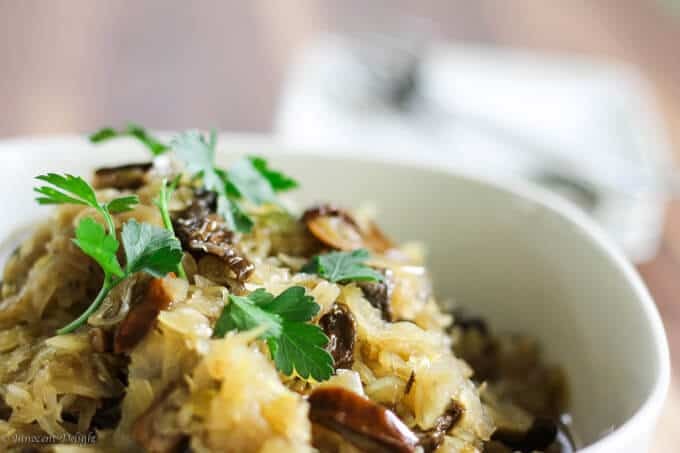 Benefits like those are typically found in cauliflower, broccoli, and kale; but sauerkraut also includes the probiotic benefits from the fermentation process. Wild mushrooms take me back to my childhood in Poland. At least once a year there was an early morning kick-off (I mean the morning that we consider the middle of the night – 4 am wake up call) to a mushroom picking day in the forest! The earlier you were in the forest, the better. And I’m not talking about one forest. Every forest in Poland, in the mushrooms season, was crawling with pickers. Being one of the first ones there heightened your chances of returning with your bucket full of wild mushrooms. Sometimes it was so frustrating to walk behind a family member who was able to get the drop on every single mushroom – which left my bucket empty. But the feeling of accomplishment when you finally find your MUSHROOM is simply unforgettable. They have a lot of antioxidants that can strengthen immunity. Add salt, pepper, and a pinch of sugar. Mix and serve with a sprinkle of partly. Doesn’t that sound super easy? Below you will find a printable Polish Kapusta recipe. I hope you enjoy this Polish delight of Kapusta (sauerkraut with mushrooms). Please let me know your traditions, I’d love to hear from you! This authentic Polish recipe for Kapusta (Sauerkraut with Mushrooms) is very easy to make and requires only a few ingredients. 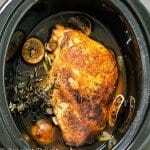 It is traditionally served on Christmas Eve as a side dish to a different kind of fish. Rinse the sauerkraut under the running water. Squeeze excess water and chop it. Place sauerkraut in a pot with water. Water should come to a level where contents are submerged. Add bay leaves and allspice. Cook on low heat for about 40-60 minutes until the sauerkraut is soft. If water evaporates, you may need to add hot boiling water a few times during the process. In the meantime, place dried mushrooms in a pot with water. Let them stand for half an hour. Cook the mushrooms in the same water they were soaking in for another half an hour, adding a little bit of salt. In a frying pan, heat up the olive oil. Add onions and cook for approximately 5 minutes until they are golden brown. When the mushrooms are cooked, remove them with the slotted spoon and add to the sauerkraut. Cook for about 10 more minutes to reduce some of the liquid (the dish should be wet but not soaking in water). Add onions and sugar to the pot and stir to combine. Optionally you can add a tablespoon or 2 of butter and mix it well. Garnish with parsley and serve as a side dish. Heat the oven to 350 degrees. Grease a deep roasting pan or large casserole and fill it with the cabbage rolls, packing them tightly together. Pour enough tomato juice or mushroom stock to cover the rolls. Cover tightly with foil and bake in oven for 40 minutes. Uncover and bake for another 10-15 minutes to brown the rolls lightly. 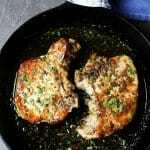 Serve with sour cream or mushroom sauce.